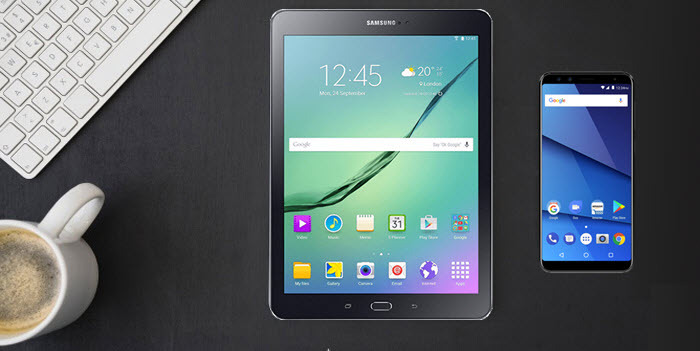 Ultimate guide on how to free rip DVD to Android (8.0) smart phones and tablets from Samsung, HTC, Huawei etc. with best Android DVD ripping software. Q - "Hello, I really want to rip DVD movies to my Android device compatible file, so that I can kill the boring flying time by watching them on the plane ride to San Diego tomorrow. I found and free downloaded many android converter programs, but they can only help me convert 3-5 minutes of the DVD unless I buy the full version. Is there any other way to free rip DVD to my Android mobile? Please heeelp!" Android accepts various video formats like MP4, 3GP, MKV, WebM and TS. Unfortunately, it cannot play DVD directly, since there isn't built-in DVD decoder. Thus a DVD to Android ripper is badly needed if you have the needs to load DVD content to any Android cellphone or pad. Through searching related keywords online, many DVD rippers/converters are available, while most of which are charged. Which one to choose? - Making DVD digital backup copies to prevent DVD discs from loss and damage, and facilitate convenient storage and finding of DVD movies. 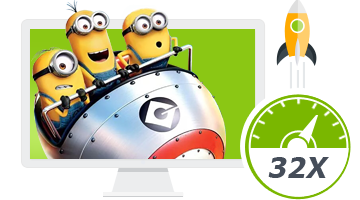 By enabling free DVD to Android device ripping, Digiarty carved a niche market out of the powerful and complete DVD backup (and video conversion) products. It made its free but useful freebie -WinX DVD Ripper, which is fully supporting Android. In addition, WinX DVD Ripper can extract the video and audio from DVD as digital file for playback on more players. Compared to other free DVD rippers in the market, WinX DVD Ripper is much more competent at DVD copy protection detecting and crashing, built either in homemade DVD or commercial DVD, for example CSS encryption, region code, Sony ARccOS, UOPs, APS and RCE. See Mac edition. See Mobile edition. If you choose the right DVD ripper for PC or Mac like WinX DVD Ripper, the DVD to Android ripping can be very simple. We here will give the particular instruction for DVD to Android conversion on Windows (10) using WinX DVD Ripper. First download WinX FREE DVD Ripper, install it and run it when you want to start ripping. Click "DVD Disc" button on the main interface to select and load the DVD movie into ripper. When the DVD video is fully analyzed and imported, it's time to choose proper Android format/device and set parameters for your Android if necessary. Click "Browse" icon to select the output folder, check the DVD title needed to rip in the title list on the upper part (generally, the main title is default). Press "Start" button on the right bottom, to begin free ripping DVD to Android device or format. After the ripping, you can move and enjoy the DVD movie on your Android on the go! What If the Free WinX DVD Ripper Fails to Rip Some Copy Protected DVDs? WinX DVD Ripper does have no problem on handling some general protected DVDs, but still has no idea on decrypt the DVDs with complex protections. 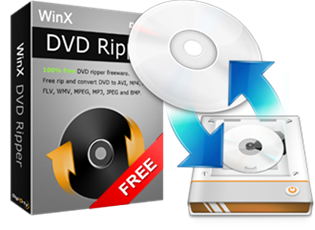 If you happen to have higher requirement than what this free DVD ripper able to provide, WinX DVD Ripper Platinum is the top choice for you. Because the powerful DVD disc file (ISO) system built-in and the newly rebuilt mechanismcan together improved its DVD decryping and converting perfomance, either the targets are 99-title Disney DVDs, workout DVDs, TV series DVDs, music DVDs, Japanese special adult DVDs or the unplayable ones. With 350+ output profiles, WinX DVD Ripper Platinum helps rip DVD to more Android phones and pads from Samsung, Sony, Huawei, Google, Amazon, Lenovo, Xiaomi, Acer etc. Of course it also provides many other options for PC, Mac, TV, iPhone, iPad, PSP and 1:1 DVD backup. If your computer is configured with multiple CPUs, Intel QSV and NVIDIA (CUDA) NVENC, the Platinum Edition enables you to set "CPU Core Use" as many as 8 to make maximally use of the cores and hardware encoder to increase the DVD (to Android) speed up to 5 minutes at most. WinX DVD Ripper Platinum is the No.1 fast DVD decypter and converter to rip any DVD, includung the copy protected (Disney 99-title) ones, to any Android facilities playable formats. In the last profile update, many new Android models are added like Galaxy S8, Galaxy Note 8, Xperia XZ and Xperia X Compact. Review from CNET: If you want a fast, effective, and fairly user-friendly DVD-ripping solution, WinX DVD Ripper Platinum is the way to go. Review from Lifehacker: If you have a friend that wants to watch movies on their computer, iPad, smartphone, or any other device, a premium DVD ripper like WinX's offering can be a nice gift. Review from PCWorld: WinX DVD Ripper Platinum does a very good job backing up and transcoding your DVD collection, including your copy-protected discs. It worked flawlessly in my tests. I would not exclude the possibility that someone had never heard of Popcorn Time, which though seems to have caught everyone's attention lately. Here we will present our list of (USA/UK) DVD movie releases in 2018 and forthcoming new release movies on DVD in 2019, with release date appended. Part 3What If the Free WinX DVD Ripper Fails to Encrypt Some DVDs?